(German) Busses are ubiquitous in most of the world but North America, for reasons of geography and mentality, doesn’t have much of a bus culture. 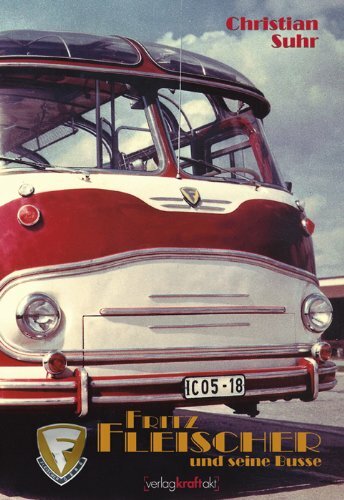 For the purposes of this book this means that whether you find busses commonplace or a novelty, the pretty Fleischer busses from East Germany are worth a closer look. In fact, it is the political and economical background that elevates this book especially. Of course, you have to be able to read German to partake in that part of the story. 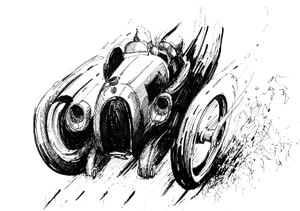 If you don’t, there’s still a lot to look at and if you have an eye for coachwork, attentive study of the photos will reveal many details that even the thorough captions don’t always spell out. Come to think of it, the reason there are so many differences in the appearance of what for all practical purposes are busses from the same model series is the aforementioned political and economical environment: Fleischer did build entire busses but more often than not, the customer was required to furnish specific parts Fleischer was unable to source or supply, or customers were given either a rolling chassis to finish themselves (sometimes requiring even steering, transmission, axles etc.) or a “kit” they could assemble on their own and modify as desired. The capitalist, western reader who is unfamiliar with how the post-WWII socialist economies of the former Eastern Bloc worked (pun intended) will be baffled by the laws of unintended consequences spawned by layers of bureaucracy inherent to a centrally planned economy that both hamper efficiency and undermine the worker’s pride in the product. Few English-language books explore this essential dimension and while this book does, it clearly assumes that even its German readers will be familiar with East German concepts and procedures. For instance, abbreviations of, say, trade or political organizations, or the regional /communal civic or industrial organizations that operated busses are rarely spelled out (there is also no Glossary) or their function explained. Reunification is now a quarter of a century behind us and one must wonder if even a contemporary (West) German reader still remembers, or ever learned, what all this once meant. Example: even if you knew that “RGW” stands for “Rat für gegenseitige Wirtschaftshilfe” you’d really have no idea what an Office of Mutual Economic Support actually does. Still, it becomes clear enough that Fleischer—largely because of FF’s personal values and leadership abilities—produced a high-quality product under adverse circumstances. And while this probably explains why his firm was allowed to remain in private hands longer than any other in the automobile industry, this too came to a sudden end in 1972, the last great wave of nationalization—which is a polite way of saying confiscation. That the author, who specializes in just this topic (i.e., vehicles of the former Eastern Bloc in the second half of the 20th century) is able to explore this aspect in such a detailed manner in the case of Fleischer is due to the surprise discovery of an unpublished memoir FF started in 1983 and tinkered with for several years after. He died in 1989, mere weeks before the collapse of the GDR. 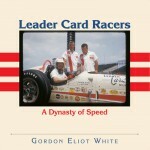 His son and nephew remained involved with the company and they too contributed background to this book. An ironworker and engineer by trade, Suhr (b. 1971) deftly describes pertinent technical and design features. Fleischer, incidentally, did not have the resources to build prototypes which meant their busses had to be extraordinarily well planned on paper and that it was the customer that did real-life testing. That this worked for both parties only underlines the quality of Fleischer’s work. Since the book has the word “busses” right in the subtitle it is no surprise that others product lines of theirs are discussed only in passing, such as furniture, campers, various service vehicles for race teams, or specialty trucks such as mobile X-ray units. There is also a nice section about early postwar passenger-car efforts that especially Porsche 356 enthusiasts will be interested in. Thankfully a large enough number of photos are in color so as to do justice to Fleischer’s creative paint and trim work. Appended are several plan views, a table of technical specs, and a list of surviving examples as of 2006 (even in its heyday the firm never made more than 30 busses a year and survivors are highly sought after today). Considering that all company records were destroyed it is a particular feat that Suhr was able to gather enough material, and verify it, to produce an entire monograph fully dedicated to a maker that is usually only given a chapter in the few other books on this topic, including Suhr’s own 2007 Typenkompass DDR-Omnibusse, 1945–1990 (ISBN 3-613-02709-7). 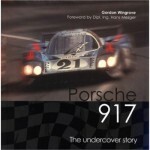 He and his colleague Ralf Weinreich started their own publishing house in 2004 and have since produced a stellar list of excellent books that, while rather specialized, have drawn attention in the wider world, not least an SAH (UK chapter) award in 2012 for the best automotive title in a foreign language. One can only hope that such recognition will lead to English translations in the future.